There are many who describe the new generation professional poker players as a machine without feelings or a game theory finest robot with the singular job of unending number crunching calculator. 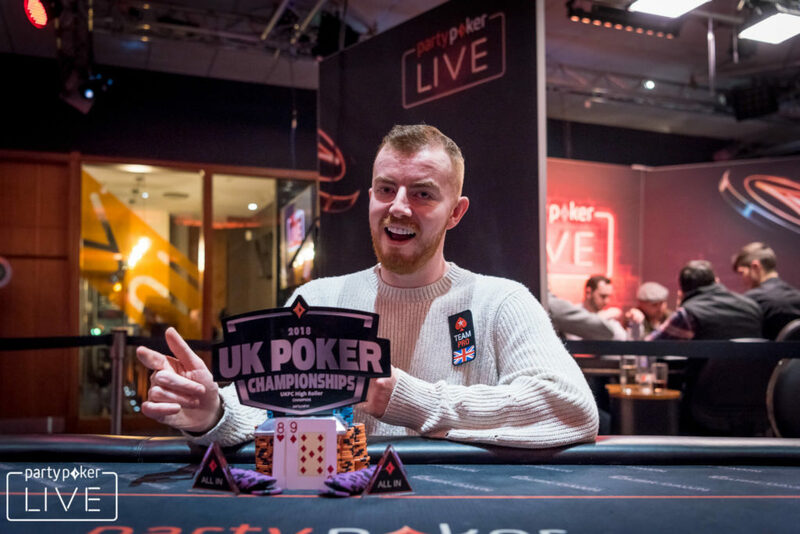 However, Jake Cody has debunk this statement in his recent exploit where he put almost $60,000 in poker tournament winnings in a game of roulette after splitting the PartyPoker UK Championship £2,200 High Roller. It was indeed a déjà vu feeling such that characterized the likes of poker legends Stu Ungar and Archie Karas. With his recent exploit at tables, the 30 year old Jake Cody has taken a center stage in the world poker. In this article, we look at this brilliant professional poker player and all that he has been up to since he came into the poker world. We will explore his net worth, the highlights of his poker career, his winnings, losses, and of course, his personal life. Born on the 4th of July, 1988, Jake Cody is a professional poker player from Rochdale, United Kingdom. He is one of the few professional poker players in the world that have obtained the famous poker ‘Triple Crown’ title. The Triple Crown consists of three important poker titles, World Poker Tour, European Poker Tour honors, and the World Series of Poker bracelet. From an early age, he started visiting online sites to play poker and from there on, he began to develop his skills. When Jake was 15 year old, he started playing for a pool team. It was at this age that he learnt to play the game. Jake Cody grew up with only his mother. According to him, his hometown of Rochdale, where he grew up, is quite underprivileged. His background really boosted his hunger for success when he moved out of his birth place. At the age of 18, he began to play poker at tables. He took it a step further by reading poker books to boost his knowledge and skills in the game. He was always involved in discussing hands in various poker forums and was consistently analyzing his game to become a better poker player. Before he started playing poker as a professional, Jake Cody enrolled in a university to study psychology. Not long after he started his studies, he decided to quit and follow his dream to become a professional poker player. To enhance his poker strategy, he was always watching TV Poker and before he went into the game fully, he bought a book written by Phil Hellmuth titled Play Poker Like the Pros. According to Jake Cody, Hellmuth, Gus Hansen, and Negreanu are his idols, and he was glad to have met them in real life. As he continued to learn to play the game, he became drawn into the game and his passion grew. Jake Cody developed his poker skills and knowledge through long hours of studying about poker and reading and posting in various poker forums. He was very active online, discussing hands with other poker players online. Through persistent, study, and hard work, he grew to become a successful professional poker player. After a long time working behind the scene and building his muscle in poker games, he appeared in his first live tournament cash in the $200 No Limit Hold’ Em event at the Grosvenor United Kingdom Poker Tour. He placed 6th at the tournament and made a winning of £1,740 at the end of the game. This was his first taste of success in the world of poker. In 2010, he got into the European tournament scene at the European Poker Tour event at Deauville. This event took place in January of 2010, and Cody made a winning of €857,000. He also made an appearance at the main event of World Poker Tour London in the August of the same year where he won another £273,783. Jake Cody started building his bankroll when he first deposited $10 at an online casino site. Although he has changed websites a couple of times but he has always transferred the money and he has never made any other deposit after his initial $10 USD deposit. His bankroll has been built on his initial $10 deposit. When he started playing at poker table, he was only playing micro stakes, mostly 1% tournaments. After building his bankroll to a couple of hundred dollars, he won at a satellite tournament for a $200 Sunday major. He finished at the 11th place at the game and won $2,500. It was at this time that he took the step to start playing for real money. At the time he won this money, it was huge for him. He was able to withdraw about 75% of the money and this gave him a taste of what was yet to come. He made up his mind to take poker serious and he started playing serious poker with the remaining 25% bankroll. Jake Cody revealed that even at this time, he didn’t see poker as a career but more of a hobby because he enjoyed playing the game a lot. He was always playing random game at this time before he later moved fully to playing poker games. At the age of 21, Cody made it to the World Series of Poker and won the WSOP bracelet at his first game ever. His greatest achievement was his completion of the Triple Crown, and he confessed that it is quite hard to replicate the wins again. He holds the record of the youngest poker pro to have ever won the Triple Crown and according to him; he would be surprised if anyone breaks the record. Really, it will really be a surprise because for someone to break that record, the winning must be in the same order and at the same age of 21 or younger. In an interview with Bluff Europe magazine, Jake Cody revealed that he started playing at online casino with a deposit of $10. As a matter of fact, he said that the $10 deposit was his first deposit since starting a career in poker and ever since, he has not made any other deposit. The English professional poker player was interested in psychology and believed he could chart a career path for himself in the field of psychology, but this was before he came in contact with full poker games. When he started developing interest in poker games, he left school to pursue a career as a professional poker player. For his parent, this wasn’t a great idea because she really wanted him to go to school and get a stable job. He went ahead with his dream and started studying all he could about poker. According to him, he believed his success so far in the field of poker is due to hard work and studying. He mentioned that he spent twelve hours daily to play poker and also constantly read books on poker, discussing strategy and hands with other players, and posting on various poker forums. These, he said are very important to develop skills and knowledge as a poker player. His first winning came during his participation at the Grosvenor UK Poker Tour side event at the April 2009 event in Manchester. He also made some money at the maiden edition of the UK and Ireland Poker Tour event that took place in December of 2009 at Galway. A month after this winning, Jake Cody professional poker career took a new turn for the better when he outlasted other professionals in a field of 768 runners to win the €5,000 European Poker Tour Deauville Main Event. At the end of the event, Cody made a winning of €857,000 for his effort. At the United Kingdom Ireland Poker Tour, Jake had a somewhat quite time during the tournament circuit, making a few little cashes. He later went ahead to complete the second part of the poker Triple Crown after winning at the World Poker Tour (WPT) event that took place in London. He beat the Sweden top poker pro, Nichlas Masttsson, during the Heads Up of the £5,000 Buy-in event at Palm Beach Casino. His winning earned him the first prize with a cash of £273,783. His achievements were acknowledged by the European Poker Awards’ judging panel. Cody was named the Rookie of the Year and the Poker Player of the Year. While every big shot in the field of poker was having fun at the Aviation Club de France ceremony in Paris on the 13th of February, Cody was seen playing at the £1,500 High Roller tournament of the United Kingdom Ireland Poker Tour (UKIPT) event in Nottingham. He won at the final table to take the title as well as the first prize of £34,200. Professional players at the final table include Dave Ulliott, popularly known as the ‘Devilfish’. On the 4th of June, 2011, he completed his first World Series of Poker bracelet and completed the Triple Crown title. At the World Series of Poker event, he crushed Yevgeniy Timoshenko and won the $25,000 Heads Up No Limit Hold’ Em event. This was the second bracelet event that Cody played in. During the 2011 World Series of Poker Europe, Jake Cody made it to the final table at the main event and he finished in the 7th place with an earning of €150,000. He signed up a sponsorship deal on the 17th of November, 2011 with an online poker site, PKR.com. Interestingly, on the 8th of January, 2013, during the PokerStars Caribbean Adventure in Bahamas, Jake was announced as a Team PokerStars Pro member. 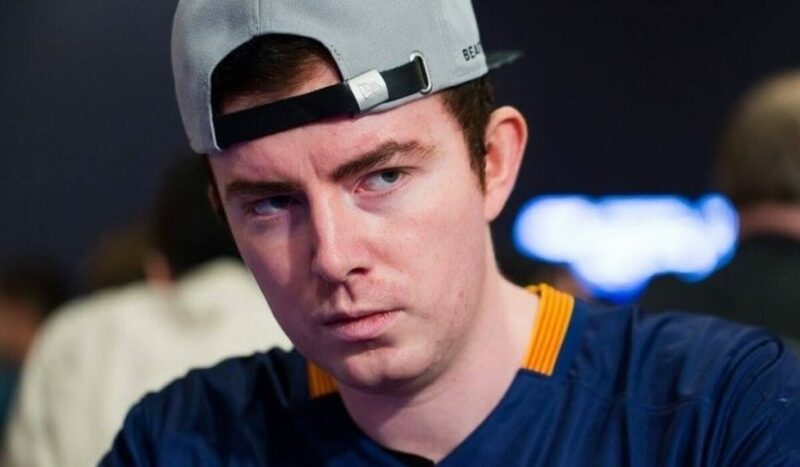 He was seen playing regularly at PokerStars online website under the name of ‘jakecody’. Since he started his professional poker career, Cody has amassed total live tournament earnings that exceed $4.5 million USD. So far, Jake has had single cash in World Poker Tour to his name. Although it is only one, this cash is enough to add him to the list of World Poker Tour champions. At the 2010 World Poker Tour London Main Event, he played at the £5,000 Main Event and won the first title of WPT with a winning of £273,783. In the course of his career as a professional poker player, Cody has made a couple of top cashes. In the January of 2010, he played at the European No Limit Hold’ Em Main Event in the 2010 PokerStars.com EPT Deauville Season 6 and won a total of $1,199,037. In June of 2011, he played at the 42nd Annual World Series of Poker $25,000 NLH Heads up championship with a winning of $851,192. He also entered for the London World Poker Tour Poker Classic Main Event and won $425,492. In the May of 2013, Cody also played at the 2013 European Poker Tour Main Event Final in Monaco and won the sum of $325,848. He also played at the $4,250 No Limit Hold’ Em 2014 European Poker Tour Season XI in London. He made a winning of $215,004 at the end of the event. Between 2017 and 2018, Jake Cody has also played at some events and tournaments. Although he has not made large winning in recent times but he has still appeared at tournaments and left with some thousands of dollars. In the September of 2017, he played at 2017 Macau Poker Cup 27 HKD 100,000 No Limit Hold’ Em Shot Clock. He finished in the 9th place and won $33,085. In the same year, he played at the 2017 PokerStars Championship Prague €5,300 No Limit Hold’ Em. He finished in the 54th place and won $16,638. In January of 2018, he made an appearance at the 2018 PokerStars Festival London £990 No Limit Hold’ Em. He finished in the 94th place and won $2,538. In February of the same year, he played at the 2018 UK Poker Championship £2,200 No Limit Hold’ Em. He made it to the final table and finished at the 1st place, winning the prize of $58,031. In July 2018, he appeared at the 2018 World Series of Poker (WSOP) $10,000 No Limit Hold’ Em. He finished in the 1052th place and won $15,920. In addition to his Triple Crown title, Jake has also won other titles, including the United Kingdom and Ireland Poker Tour High Roller title which was won in 2011 at Nottingham. He made the winning at the £1,500 No Limit Hold’ Em/ High Roller Event with a prize of £34,200. In the same year, Cody made it to two final tables at local poker events. At the Grosvenor United Kingdom Poker Tour, he came second in the Grand Final £2,500 Main Event and won £115,054. This event took place in London. Some days later, he went ahead to finish in the 3rd place at the £1,000 No Limit Hold’ Em/ Re-Entry event and won £31,293. This event took place in Monte Carlo, Nottingham. Cody is not all about poker games, building bankroll, and winning at the felt table. He also has a personal life. Jake is a people person. He always has people around him. He has a good number of friends and among his friends, he is a trendsetter. He happens to be one of the first young pro who started breaking into the doors of live major tournaments, and not too long, the tribe followed suit. Currently, he has started another trend in poker; a baby in the mix. Cody has a baby and friends around him have caught the bug and have started having babies too. Currently, Cody his girlfriend, and their child, lives in Los Angeles, and shuttle between LA and Vegas. According to him, he prefers having them close by because he would not want to leave them for a period of seven weeks while he is playing at a felt table. He believed having his girlfriend and baby close by will help him stay out of any trouble and also save him some money. Jake Cody believes that having kids is great but it comes with huge responsibility and financial commitment. According to him, he is looking out to win more bracelets so that he can cover his kid’s expenses in the coming years. Jake and his girlfriend are still very much together and when he is not playing poker or hanging out with his friends, he is with his kid and girlfriend, playing family. Cody also produces a weekly Vlog on his YouTube channel. He is a social person, and he has a lot of followers on his social media handles. Apart from playing poker, Jake is also involved in some charitable activities. He is heavily invested in a non-profit organization, Right to Play, which he advocates for other players and poker fans to donate towards. Right to Play is an organization that helps kids in less privileged nations to thrive in order to become better individuals. The organizations go round these nations to teach children through games. Jake Cody recently visited Africa in support of this organization and at his return; he said he was happy to have impacted the lives of young children. Many people believed that his passion to help kids in less privileged countries is born out of his childhood experience in the town of Rochdale. He gushed about his experience in Uganda where they visited for the Right to Play program. According to him, the first part of the trip was focused in recruiting teachers who would become teachers for the program. The recruitment process involved training the would-be teachers. The second part involved a trip to the schools to see how the program is being implemented. For Jake, the experience was like none other he had been involved in. It is common to see professional poker players going low profile after winning big at an event and many poker fans were afraid for Cody after his widely acclaimed Triple Crown victory. Interestingly, Jake has not gone low profile. As a matter of fact, he has continued to make waves in the industry. He has made it to a lot of final tables. Although he has not won any other tournament but he has been working hard in his career. He is not giving up hope of winning at the felt table or live tournaments again. As a matter of fact, he believes that the more final tables he is able to attain, the higher the chances of his winning in the first place sometimes soon. Currently, Jake Cody plays mostly in Las Vegas. Apart from Vegas, he also sees Barcelona as his favorite European Poker Tour destination. Prague is also somewhere he thinks he will want to explore for poker games. Apart from No Limit Hold’ Em, Cody has also dabbled into Deuce to Seven and PLO. However, his strong point is still in NLH. Jake Cody is an English professional poker player with a lot of potentials. With total live tournament earnings that exceed $4.5 million USD, he has definitely made a nice net worth for himself. He is still in the game, so it is believed that he is on the right track to increase his net worth. His best live cash totaled $1,213,193. He is listed in the All Time Money list and ranked in the 249th position. He ranked 13th on England All Time Money List and 249th on All Time Money List Current Rank. On popularity ranking, he ranked 42nd. With more than $4 million USD in live tournament earning, the youngest professional poker player is ranked among the top ten England’s All Time Money List. A native of Rochdale, he earned his first big poker title in the year 2010. He started his walk to fame at the Deauville and within sixteen months, he has completed the Triple Crown title at the young age of 22. With this great success, Jake Cody has become one of the favorite poker players in Britain. He started winning awards and began to sign up with various online platforms for sponsorships. In 2013, he achieved the Team PokerStars Pro status, which was a dream come true for him. Since he started his career as a professional poker player, Jake has not relaxed his guard in aiming for the top. He has continued to pursue his dream and build his net worth in a nice way.